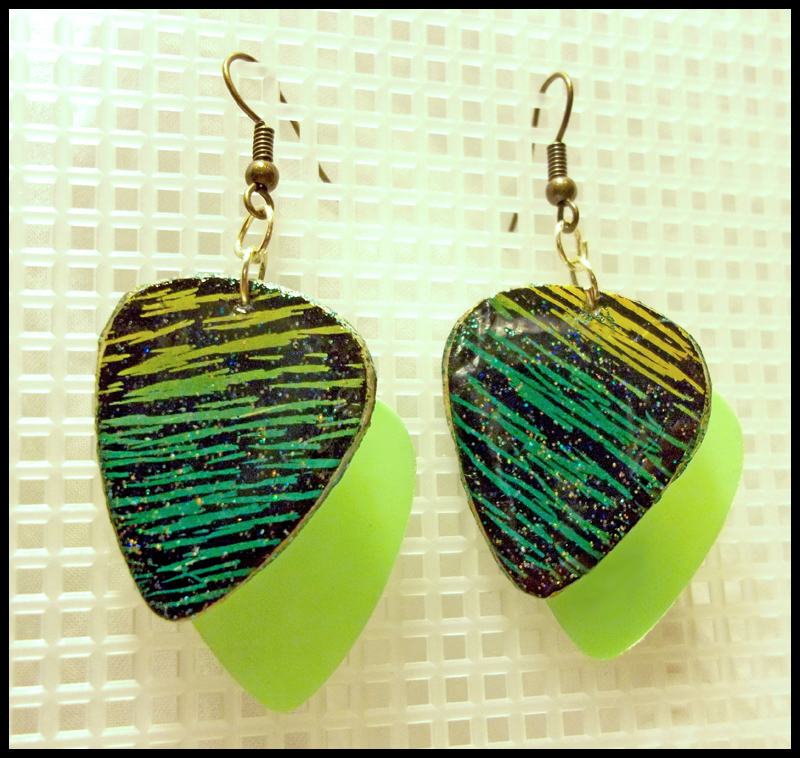 Green and Yellow Scratchboard Guitar Pick Earrings! Scratch magic board guitar pick pendants with an etched green and yellow design and lime green guitar picks. These earrings are made from Scratch Magic boards, black drawing boards with colorful backgrounds!